Here is another surprising fact that I discovered while working at Feed Your Vitality. I don’t have to have bread to enjoy a sandwich. In my previous life, the bread was non-negotiable; it wasn’t a sandwich without bread. Period, end of story. Lettuce sounded like a very sorry substitute. The first time I tried a wrap in heavy duty crispy lettuce I felt almost guilty that afterwards I hadn’t missed my beloved bread. Now I am almost obsessed with how good everything tastes wrapped in lettuce – Burritos! Tacos! Spring rolls! And of course, sandwiches! So now, while I am more than happy to eat lettuce wraps that other people make, I wasn’t exactly sure how to go about creating them myself. 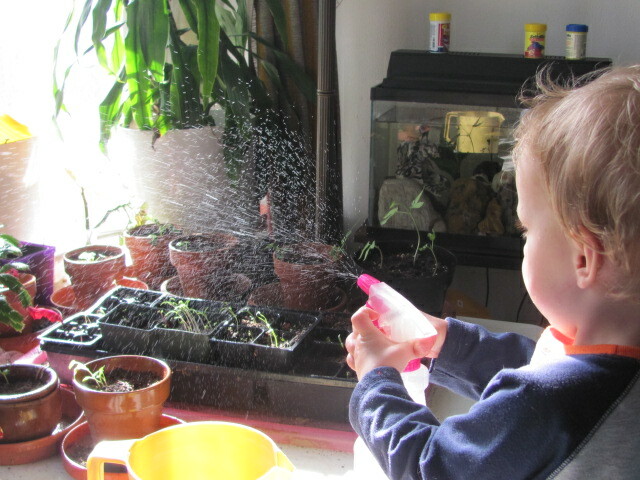 Here are a few tips I learned from the experts here at Feed Your Vitality. The key to the lettuce wrap is, obviously, the lettuce – and there are quite a few differences of opinion about the “best” type to use. Generally, you want a large leaf that can hold a lot of ingredients. It should be pliable so it is easy to wrap. Fillings can be warm and spicy, cold and refreshing, or basically anything that you would include in a sandwich, burrito, taco, etc. If the filling is juicy, you may want to drain it well so there isn’t a lot of dripping from the wrap. This also goes for any additional condiments, dressings or dips you consider adding. 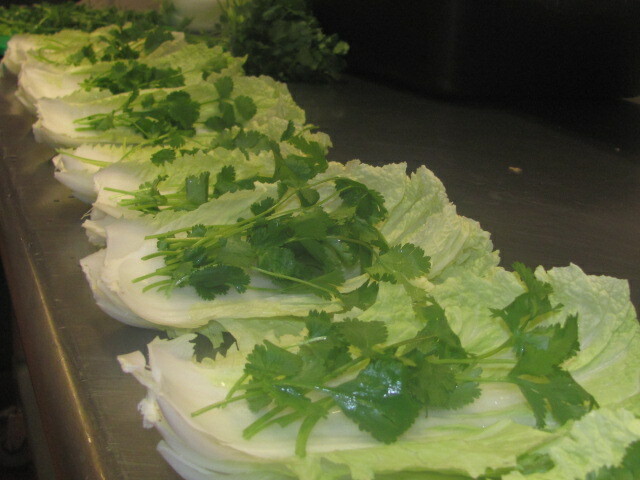 When filling, try to keep the ingredients about an inch from the edges of the lettuce. Some people prefer to mix all the ingredients first; some prefer to layer them. 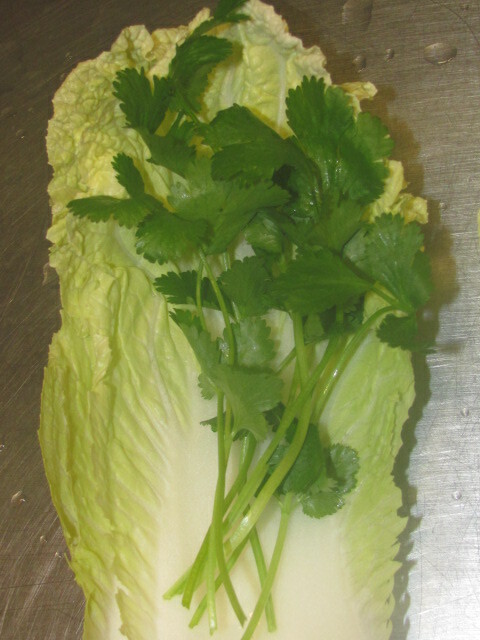 Fold the lettuce sides into the center, and roll – it is very similar to putting together a burrito! 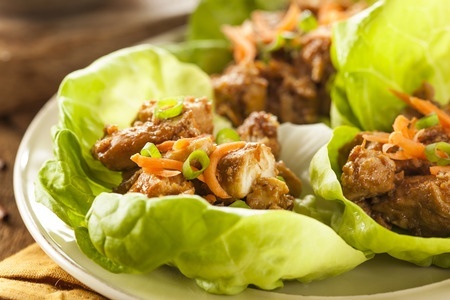 All in all, lettuce wraps can be very versatile and used as appetizers or main dishes. You can have a build your own wrap station, or you can prepare them yourself. Depending on the fillings they can be Mexican, Asian or just a simple sandwich.